LOS ANGELES, Nov. 1, 2017 /PRNewswire/ — Sometimes we don’t miss what we have until it’s gone. In a heart-warming moment redefining modern masculinity, ‘true love’, ‘personal relationships’ and the ‘little things’ prevailed when men across United States, Australia, Canada, and the United Kingdom were asked ‘what they would miss most’ if they were no longer around, according to research* released by the Movember Foundation. After friends and family (84%), a third (33%) of men surveyed confirmed they don’t want to miss out on true love – even more so than becoming a millionaire (24%) or visiting the Seven Wonders of the World (24%). Additionally, the survey confirms that men would also really miss the ‘little things’ in life – and interestingly, that’s what 75% of their loved ones would miss most about them if they were gone tomorrow. These findings mark the launch of ‘Movember’, the month formerly known as November. On Wednesday, November 1, 2017, the Movember Foundation is driving home the scale of the global men’s health crisis by asking everyone to take a moment to consider what life would be like if they woke up today without the men that they love. What key moments would these men miss? Who would they leave behind? For the men themselves, what would they miss the most? a) When communicating with men in a digital age, texting isn’t enough. Across markets, two in five people surveyed (43%) say ‘in person’ communication means the most, followed by a third (34%) who say a ‘phone call’ is the most meaningful. b) When it comes to keeping tabs on the wellbeing of the men in their life, women check in the most – within the past week, almost three quarters (72%) of women surveyed across markets have asked a man in their life how they are doing and over two thirds (68%) have given him a hug. c) While men are very aware of their own mortality when it comes to facts and figures – with almost three in five men (58%) believing the statement that men die on average six years earlier than women – over one fourth (27%) of women take a more proactive role in managing the health of the men they care about (e.g. asking if they had a check-up lately (18%) or schedule a doctor or dentist appointment for them (17%). Globally, today Mo Bros and Mo Sistas will see “Life Without the Men We Love” come to life in various marketing activations. Movember, a Hockey Fights Cancer non-profit partner, will reserve seats at the Anaheim Ducks x Toronto Maple Leafs game at the Honda Center in Anaheim, CA for the United States activation. The seats will initially be empty with powerful creative, then filled with men who have been affected by the Foundation’s key causes, driving home the key moments we want all men to experience, and the Movember Foundation’s goal of helping men live happier, healthier, longer lives. 1 in 7 men will get prostate cancer in their lifetime. 1 in 2 men will be diagnosed with cancer. Testicular cancer is the most common cancer diagnosed in men ages 15-29. More than 500,000 men take their own life every year. That’s one every minute. Sign up to grow your moustache for 30 days. 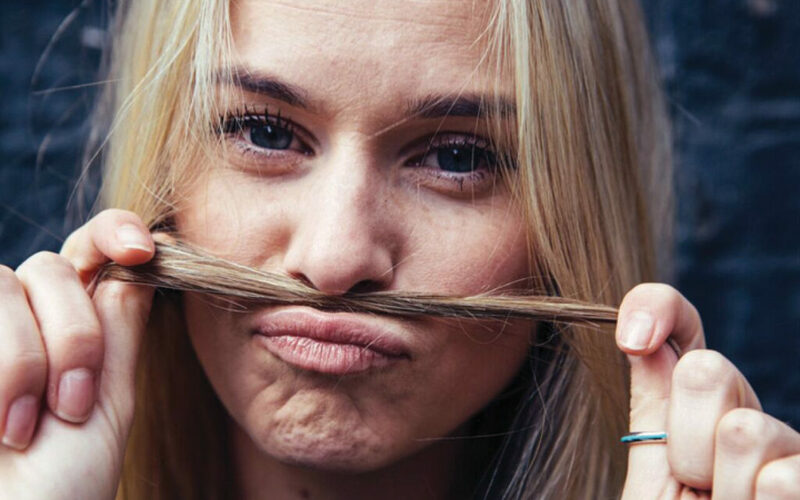 Want to take your Mo to the next level? Sacrifice your beard, auction off your face to the highest donor, or dye your Mo a different colour every day. Get creative to attract attention and raise funds. Raise funds for men’s health while you do something good for your own health. Join the Move challenge and make a commitment to be more physically active for the month. Get friends and family to donate to your efforts, and become healthier in the process. Show the Mo Bros and Mo Sistas in your life that you support their Movember challenge by donating to their Mo Space. You can check in on their progress to see how their Mo is growing, or see how far along they are in their Move goal. Every little bit counts to help stop men dying too young. Be the difference. Join the fight at Movember.com and donate or sign-up to help stop men dying too young. The Movember Foundation is the only global charity focused solely on men’s health, funding over 1,200 innovative projects across 21 countries. The Foundation raises funds and awareness for men’s health programs supporting these critical areas: prostate cancer, testicular cancer, mental health and suicide prevention. But our work is not done. Be the difference and go to Movember.com to donate or participate. Together we can stop men dying too young. *Consumer data was collected via an online survey administered to a nationally representative sample of 18+ adults in 4 markets (Australia, Canada, UK and USA). In total, c.4,000 people (1,000 per market) were sampled. The survey was commissioned by the Movember Foundation and conducted by Research Now in October 2017.